West was released by the Saints on Tuesday, Adam Schefter of ESPN reports. Analysis: West gained 26 yards on two carries in Friday's preseason game against the Cardinals, but it was too little too late in his bid to help replace Mark Ingram (suspension) early in the season. Jonathan Williams has jumped out in front as the clear favorite to work alongside Alvin Kamara for the first four weeks of the campaign. West may have a hard time finding work in the NFL this year. West took two carries for 26 yards in Friday's preseason game against Arizona. West rushed five times for 10 yards in Thursday's 24-20 win over the Jaguars in the preseason opener. Analysis: West's first carry didn't come until the two-minute drill to end the first half. After that, he saw some work over the course of the second half, yet failed to produce much. While fellow tailback and competitor Shane Vereen sprinkled in his five touches over the same span, his eight total yards left little separation between the two. West is visiting the Eagles on Tuesday, Jeff Zrebiec of The Baltimore Sun reports. 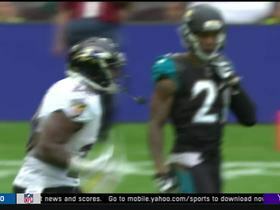 Analysis: Following a career-best 2016 season in which West ran for 774 yards and five touchdowns in 16 games, he went on to appear in just five games for the Ravens in 2017 and carried the ball 39 times for 138 yards and two touchdowns. The Eagles likely are satisfied with their stable of running backs, but they could view West as potential insurance for an injury. West appeared in just five games in 2017, rushing 39 times for 138 yards and two touchdowns and adding two receptions for 23 yards. West is active for Saturday's game against the Colts, Jeff Zrebiec of The Baltimore Sun reports. Analysis: West, who was last active back on Oct. 8, adds depth to the team's Week 16 backfield, but we wouldn't expect him to make a big fantasy splash Saturday, with Alex Collins, Danny Woodhead and Javorius Allen also in the mix. West (coach's decision) is inactive Week 15 against the Browns. Analysis: West was absent from the injury report this week, so he'll be a healthy scratch yet again for the Ravens. Look for Alex Collins to be the lead rusher in Baltimore, with Danny Woodhead active on passing downs and Javorius Allen also in the mix. West (calf) is inactive for Sunday's game in Pittsburgh. Analysis: With Alex Collins locked in as the lead back and Danny Woodhead handling passing downs, the Ravens prefer to use Javorius Allen as their No. 3 running back. Allen is better than West in the passing game and also play special teams, but the Ravens might actually turn to West as the new lead runner if Collins were to suffer an injury. As for the immediate future, West will once again be a healthy scratch. West (calf) isn't on Wednesday's injury report ahead of Sunday's game against the Lions. Analysis: West's inactive status the past couple weeks seemingly had more to do with his role than his calf injury. 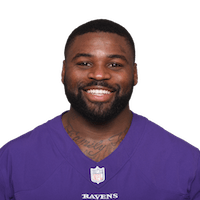 He may now have an opening to rejoin the Baltimore backfield, as Alex Collins missed Wednesday's practice with a calf issue of his own. West likely would be returning to a limited role if active, however, as he hasn't played since Week 5 and didn't do much early in the season. West (calf) is inactive for Monday night's game against the Texans. Analysis: West was able to practice fully all week, but he'll remain sidelined Monday, with Alex Collins, Javorius Allen and Danny Woodhead currently ahead of him on the Ravens' RB depth chart. West (calf) has drawn a questionable designation for Monday's tilt against the Texans. 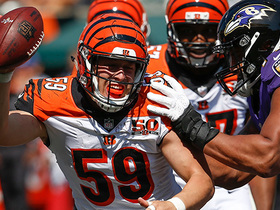 Analysis: West has missed the Ravens' previous five games while recovering from a calf injury. Although he was able to log three consecutive full practices once again this week, the team still opted to list him as questionable for Week 12. With Alex Collins, Javorius Allen and Danny Woodhead ahead of him on the depth chart he could still wind up inactive Monday. West (calf) was listed as a full participant on Thursday's practice/injury report estimation. Analysis: It remains to be seen if West suits up Monday night against the Texans, but at this stage, his health is not an impediment to taking the field in the contest. Alex Collins, Javorius Allen and Danny Woodhead handled the team's rushing duties in Week 11's shutout win over the Packers, and that trio figures to continue to head the team's backfield Week 12 as well. West (calf) is inactive for Sunday's game against the Packers. Analysis: Though listed as a full participant in practice all week, West was listed as questionable for the contest. That said, his deactivation Sunday may have more to do with the Ravens' game plan than West's health, with Alex Collins in line to continue as the team's lead back on early downs and change-of-pace back Danny Woodhead returning to the team's backfield mix this week. West is fully recovered from the calf injury that has kept him out for the past month, but he may be a healthy inactive Sunday against the Packers, according to Ian Rapoport of NFL Network. Analysis: West was a full participant in practice all week, but with Alex Collins playing well after taking over the backfield duties, there appears to be little for West to handle on game days. West (calf) is listed as questionable for Sunday's game in Green Bay. Analysis: West was a full practice participant all week, and it mostly just seems that the Ravens have become enamored with the questionable designation this season. If West ends up inactive for the contest, it would likely have more to do with the game plan than his health, as Alex Collins is expected to continue as the lead back on early downs. West likely is healthy enough to play for the first time since Week 5. West (calf) was a full participant at Wednesday's practice. West (calf) is scheduled to practice Tuesday and Wednesday before resting up for the remainder of the Ravens' Week 10 bye, Jamison Hensley of ESPN.com reports. West (calf) has been ruled out for Sunday's game in Tennessee. Analysis: With Alex Collins sitting at 6.0 yards per carry, it's not clear that West will even have a significant role once he's healthy. He hasn't played or practiced since re-injuring his calf on the opening drive of a Week 5 win over the Raiders. West (calf) wasn't present for practice Thursday, Jeff Zrebiec of The Baltimore Sun reports. Analysis: With two straight absences from practice on the heels of missing three consecutive games with the left calf issue, West looks bound to sit out again Sunday against the Titans. Once he's back to full health, West could find himself behind Alex Collins, Javorius Allen and potentially Danny Woodhead (hamstring) in the Ravens' backfield pecking order, which would severely limit his fantasy appeal. West (calf) didn't practice Wednesday, Jeff Zrebiec of The Baltimore Sun reports. Analysis: West is thought to be inching closer to a return, according to Zrebiec, but his absence Wednesday isn't the most encouraging sign for his Week 9 status. Alex Collins and Javorius Allen will likely continue to lead the team's backfield Sunday against the Titans. 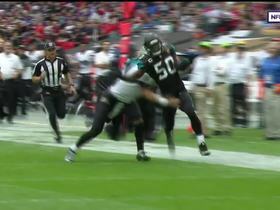 Jacksonville Jaguars linebacker Telvin Smith recovers fumble and returns it for 50 yards vs. the Baltimore Ravens in Week 3 of the 2017 NFL season. Baltimore Ravens running back Terrance West breaks free for 10-yard run vs. the Jacksonville Jaguars in Week 3 of the 2017 NFL season. 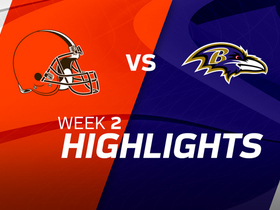 Watch the best plays from the Week 2 match up between the Cleveland Browns and Baltimore Ravens. 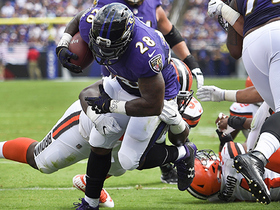 Watch Baltimore Ravens running back Terrance West punch in the 4-yard touchdown against the Cleveland Browns. 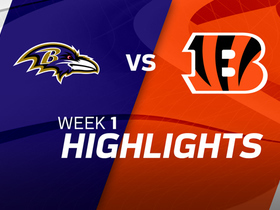 Watch the best plays from from the matchup between the Baltimore Ravens and Cincinnati Bengals week 1. Cincinnati Bengals linebacker Nick Vigil catches tip for an interception. 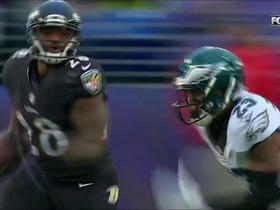 Baltimore Ravens running back Terrance West barrels through defenders for a 2-yard touchdown. 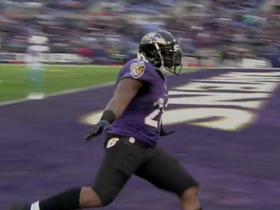 Baltimore Ravens running back Terrance West takes off for a 41-yard gain, the Ravens longest of the season. 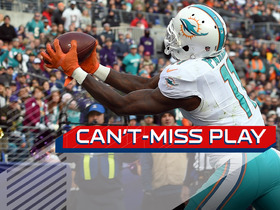 Miami Dolphins QB Ryan Tannehill lofts one to wide receiver Devante Parker for 8-yard TD. 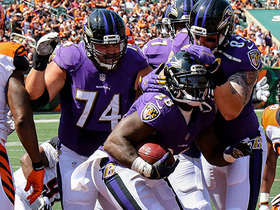 Baltimore Ravens running back Terrance West takes it outside for a 9-yard TD run.